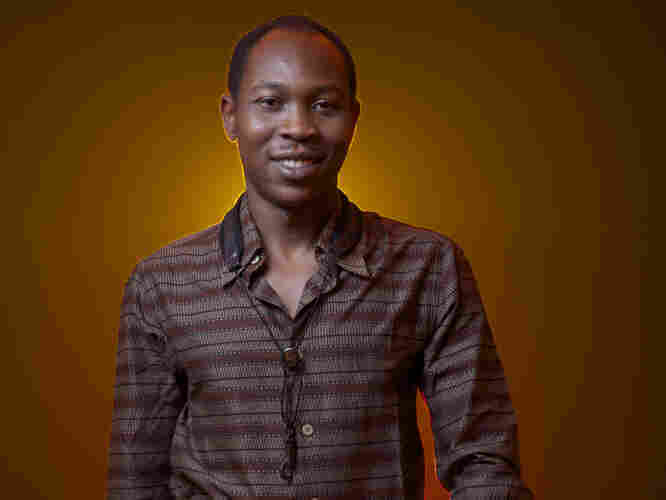 Seun Kuti Channels His Father's Political 'Fury' Now 28, the youngest son of Afrobeat pioneer Fela Kuti is still leading the band he inherited from his father when he was just 14. From Africa With Fury: Rise is Seun Kuti's latest album with his father Fela's band, Egypt 80. When Fela Kuti died in 1997, his band, Egypt 80, fell into the hands of his 14-year-old son. Now 28, Seun Kuti still tours and records with his father's old band mates, and has just released an album with them entitled From Africa With Fury: Rise. He tells Guy Raz, host of weekends on All Things Considered, that outside pressure to fill his father's shoes is still a fact of life, even all these years later. "I still face that today; it's not going to change," he says. "You have to accept that as being part of who you are. Even if I was a scientist, people would still say, 'Well, his science is not as revolutionary as his father's. He's not coming up with any new science!'" Fela Kuti, while not quite the global celebrity Bob Marley became, is often credited with representing to Nigeria what Marley was to Jamaica: an informed, outspoken champion of the underclass. Seun Kuti says that while he understands the comparison, it's slightly off the mark. "My dad was this uncompromising, staunch socialist with absolutely no interest in commercial success whatsoever," says Kuti. "He didn't believe, like Bob, that love could heal the world. My dad believed that love was a Western concept brought to Africa to deceive us." Kuti says he may go into politics in the future, as his father did. For now, however, he'll continue to express his political views through his music. "I feel it's the responsibility of every African artist," he says. "Right now, African art has a big role to play in inspiring the people of Africa. If we think Africa is going to be saved by the West, we have a big problem. Our art has to speak for us."